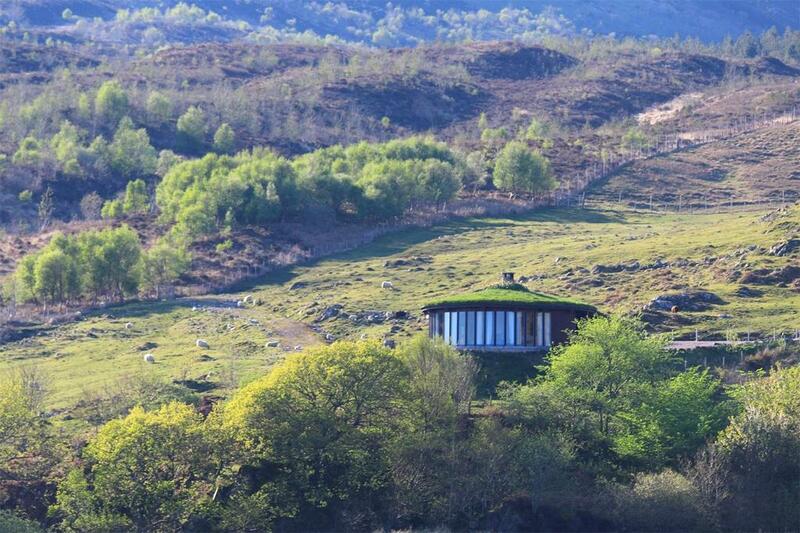 Built in to the landscape with in a circular shape and with a turf-covered roof, you’d almost think it was designed for a hobbit. 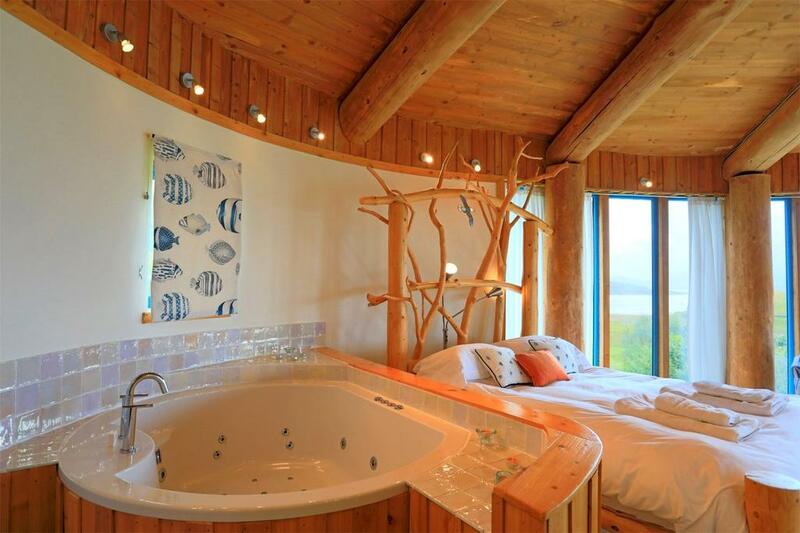 But The Seashell was built with one thing in mind: creating an ideal getaway for a couple. 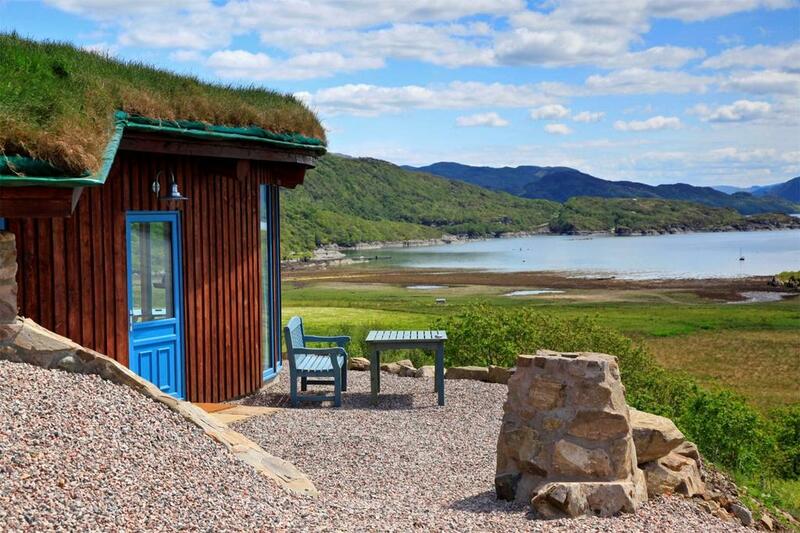 And it’s a getaway in Acharacle, on the Ardnamurchan Peninsula, which is for sale at £250,000. 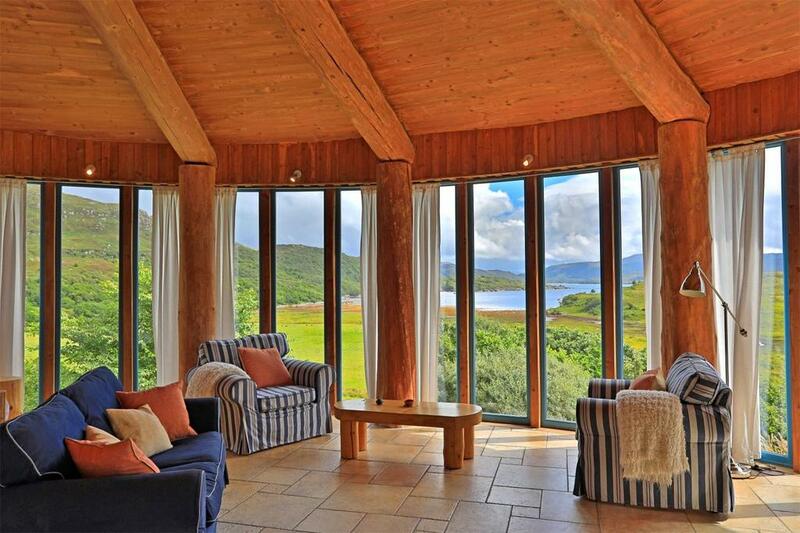 There are the views of Loch Sunart and the Morvern Hills beyond, enjoyed through floor-to-ceiling windows; the large, airy living space with an open fire at the centre; and the beautiful fixtures and fittings throughout. Those modern touches go beyond the spa bath and kitchen appliances. This 21st century take on the croft also has underfloor heating, solar thermal panels and a heat pump which give it superb energy efficiency. Depending on the time of year you’ll either appreciate this enormously or not even notice, as you sit outside and soak in the stunning landscape. 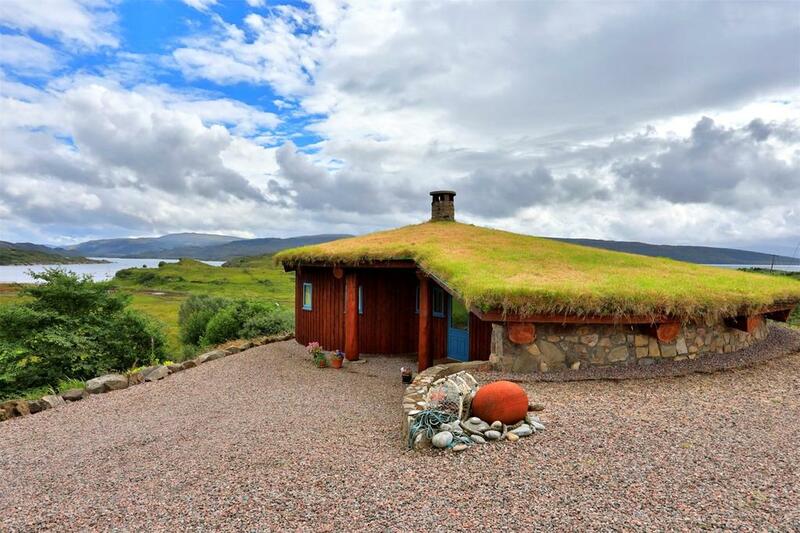 Considering what £250,00 can buy you elsewhere in far flung corners of Scotland – a full-on estate, for example, or a beautiful five-bedroom detached house set in extensive gardens – it’s fairly easy to make the case that The Seashell is wildly overpriced. And then you take another look at the setting and think, well… maybe not. A closer look also suggests that the economics of this little property seem to add up. It’s a place that screams ‘Air BnB’ from its grass-covered rafters, and has unsurprisingly been a huge hit as a top-end getaway. The same owners also run two other nearby properties – Aspen Lodge and Brightwater Lodge – and have made a sound business of it. The Seashell could carry on in that way, or else be used as a permanent home. And while it may be little, for many that won’t really matter a jot. 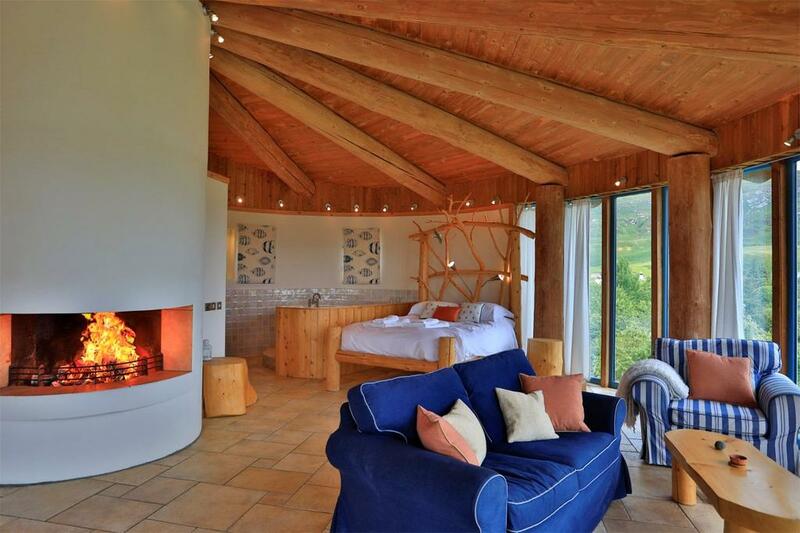 It won’t be the place for a weekend reunion with old university friends, but if you’re after a spot for a truly romantic getaway then space is immaterial compared to a roaring fire and a beautiful view are pretty much all you need. The Seashell is for sale with Galbraith via OnTheMarket.com for offers over £250,000 – the closing date is November 21. See more pictures and details here.